The Rural Payments Agency (RPA), an executive agency sponsored by the Department for Environment, Food & Rural Affairs (DEFRA), is responsible for the payment of over £2 billion each year through the EU's Common Agricultural Policy and other schemes. The payments made to farmers, traders and land owners support a thriving farming and food sector in England. 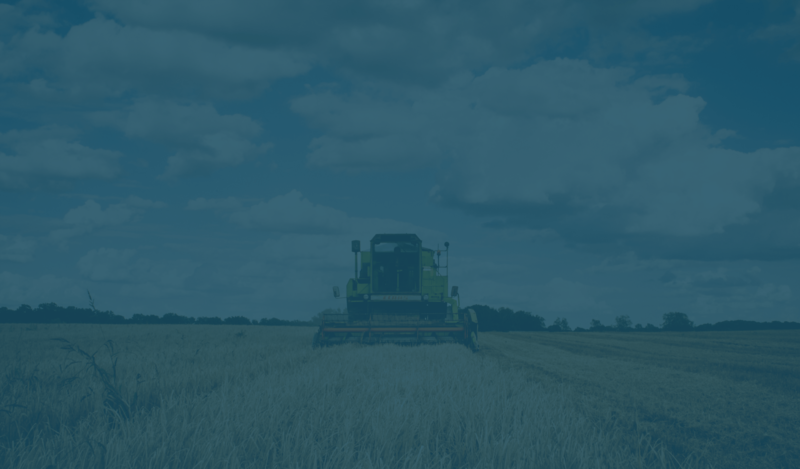 In 2016 Version 1 was awarded the contract for Live Service Support for the digital service implemented to administer the EU Common Agricultural Policy (CAP). The CAP digital service was described by DEFRA in its 2012 Digital Strategy as “…a fundamental end-to-end redesign of the whole process, introducing a single IT solution with digital delivery as a core design principle.” It was one of the 25 ‘Exemplar Services’ selected to be digitally transformed as part of the Government Digital Services Transformation Programme (2013 to 2015). Version 1 became our Live support partner for our Farms Payment System in 2016 following a competitive tendering process. From the outset, the team has impressed, transitioning our digital service from the incumbent suppliers in a professional and collaborative fashion. The Farm Payment system developed to meet the CAP policy guidelines is a high profile UK Government system comprising online services utilised by all farmers in England and issuing payments of approx. £2 billion per annum. It comprises the Land Management System, used to manage and facilitate the work undertaken by a team of more than 300 land digitisers and the Customer Portal, an interface through which circa 96,000 farmers / agents apply for funding and manage and configure the land data. The systems consist of web applications built using a wide range of enterprise web development technologies as well as specialist geospatial software components for mapping and land validation. Version 1 transitioned this large, complex system from the incumbent suppliers utilising a proven model for Live service transition of Government Digital Services. The transition project was a 13-week process adhering to Version 1’s ISO20000 certified Transition Process. Version 1 mobilised a team almost immediately to meet the necessary security standards and clearance demanded by the agency. Entering the discovery phase, Version 1 sought to ensure that all system components and business processes were identified, understood and documented. High and medium-priority risks were identified, documented and resolved prior to go-live of the service. The process involved collaboration with internal stakeholders and multiple third-party suppliers, shadowing, knowledge acquisition and hands-on assistance with transformation change work and low-priority fixes functioned to de-risk the transition process. The Live service transition process is designed to provide a high level of confidence in service take-on readiness, which was achieved when transition was completed one week ahead of schedule. The RPA called out the transition as ‘an excellent collaborative effort’, a ‘potential exemplary transition project for DEFRA’ and a template for their own transitions in the future. Day to day Version 1 provides break-fix services to ensure application and database availability and performance, effective system functionality and an SLA based managed service for reactive and proactive incident response. Our service desk conduct continuous health checks to verify system performance and availability. We also focus on business application and process monitoring. Automated alert and business event correlation technologies let us investigate and resolve potential issues in real-time, before they impact business continuity. Testament to the quality of the Live support service delivered is that Version 1 has exceeded SLA in the first full year of service. Continuous Service Improvement (CSI) is a core tenet of our Live Digital Government Service. The CSI Programme at RPA provides for an ongoing cycle of new development releases, which bring improvements in operational efficiency as well as enabling strategic initiatives. We provide ongoing agile development aligned to Government Digital Services principles. The programme of developments allow the RPA to keep their systems and data in line with EU compliance rules in order to avoid disallowances. To date new functionality and enhancements have extended the Digital Service to accommodate new schemes, to automate land use changes through satellite imagery, to provide additional functionality to farmers to retrieve Hedge information to make Ecological Focus Area claims and improvements to the RPA’s verification service to meet UK Government standard for online identity verification. Version 1 also brings DevOps capability to automate the deployment of the ongoing releases and streamline the release cycles across multiple systems, teams and suppliers. Customer first is always to the fore and the commitment to the improvement of our digital services means our relationship is based around practical solutions and ongoing improvement, which helps us deliver a better and more efficient service to our users and stakeholders. We have since extended the Live service to the take-on of our Strategic Data Interfaces from another supplier. As a Live Service provider Version 1 really stands out in its ability to deliver solutions to support digital transformation of the UK government.